January 31st is the birthday of eminent Constitution lawyer, academic and politician Dr.Neelakandan Tiruchelvam. Neelan as he was popularly known would have completed the biblical life span of three score years and ten had he been among the living today. Born on January 31st 1944,Neelan Tiruchelvam, was brutally assassinated fifteen years ago by the Liberation Tigers of Tamil Eelam (LTTE)on July 29th 1999.He was 55 at the time of his death. I had a close personal relationship with Neelan. He was my friend, philosopher and guide. He was greatly instrumental in moulding my career. He was in a sense my political mentor. It was as a journalist on the Tamil daily “Virakesari” that I first began interacting with Neelan Tiruchelvam. My relationship with him grew over the years as I moved into English journalism via ‘‘The Island ‘’and ‘‘The Hindu ‘’. He had great influence over me in imparting knowledge, stimulating thought, shaping my career and moulding my beliefs. I will always remain grateful for the advice, knowledge ,assistance and help provided by him during various phases of my life. Neelan and his wife Sithie were like an elder brother and sister to me. I always recall with grief the last 50 minute telephonic conversation I had with him just 35 minutes before he was killed.I was one of the last persons to speak to him on that fateful day. I spoke with him on the telephone from Toronto for 50 minutes from 7.50 am until 8.40 am (Sri Lankan time). I used to call him regularly those days. Usually he winds up the conversation after a while saying “you are going to run up a massive phone bill”. But on that day he was in a mood to talk and was pensively reflective .When I ended the conversation he seemed a little surprised. Thirty-Five minutes later Neelan was killed at 9.15 a.m on his way to office at Kynsey terrace as the assassin waiting for him near the Kynsey road-Rosemead place junction threw himself upon his vehicle.When the office aide Rajah rang me from Colombo to convey the tragic news I could not believe it. “I spoke to him only a little while ago” I wailed. Sadly the loyal Rajah too is no more having passed away some years ago. Whenever I cautioned Neelan about his safety he had a fatalistic attitude about death. “No one can prevent it when it happens, we just have to go on doing what we have to do,” he told me once. He also seemed to have a premonition about how he was going to die. “There are countless vehicles in Colombo now. There is a traffic jam at every junction. All security measures become a mockery if my car is held up. None of the police assigned for my safety will be able to do anything.” How prophetic were those words. The lone assassin slipped easily between vehicles held up at the traffic snarl at Rosemead Place and blew himself up. In a few seconds of lunacy the tigers murdered the foremost intellectual in contemporary Tamil politics. The void created is yet to be filled. It is particularly felt at this juncture as the Sri Lankan Tamils flounder in a rudderless,leaking boat on choppy waters deprived of able sailors to steer boat safely ashore. “Any man’s death diminishes me because I am involved in Mankind,” wrote the metaphysical poet John Donne.The ethnic conflict in Sri Lanka has extracted a heavy human toll. In my personal capacity as a Sri Lankan Tamil and in my professional capacity as a journalist , I have lost count of the number of people related or known to me who have encountered violent deaths.But no man’s death as a result of the ethnic crisis in Sri Lanka has diminished me as that of Neelan Tiruchelvam . Ever since his death I have written several articles about Neelan.Drawing much from such writings I write this column to mark the 70th birth anniversary of Dr.Neelan Tiruchelvam.I would have very much liked to celebrate his life and work in an article dedicated to him on his birthday but I find myself unable to do so as the immense sense of loss and grief that I feel overwhelms me.It is a sadness that will not go away and pervades my thoughts even on the occasion of his birthday.I feel the loss acutely as I look at the current predicament of the Sri Lankan Tamils and lament to myself “if only Neelan was allowed to bring about a political settlement through his devolution package then”. Neelakandan Tiruchelvam, well-known as Neelan or Dr. Neelan, strove ceaselessly to achieve a peaceful solution to the Tamils issue. 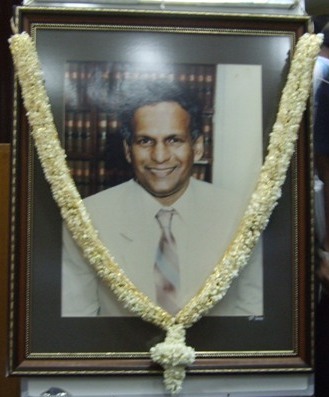 He dedicated himself to that cause with a sense of purpose.Although he could have easily enjoyed a lucrative academic or professional career abroad, he chose to remain in Colombo through very trying circumstances and pursued his vision of a lasting political settlement where all communities, including that of his own, the Sri Lankan Tamils, coexisted with justice, dignity and peace. Although a citizen of the world in every sense Neelan also felt deeply about the plight of “our people” as he would refer to the Tamils when talking to me. It was this concern about the Tamil predicament and the yearning to do something meaningful about it that drew me closer to him. At the same time Neelan was not ethno-centric and realised fully that ultimately a solution acceptable to all sections of the people had to be found. Neelan Tiruchelvam is one of the few Tamils who dared to spurn a “request” by the LTTE that he should support and work for it. Although the LTTE sought to portray Neelan Tiruchelvam as some sort of a traitor with whom it would never have any interaction, there was a time when it solicited his services. It was politely rebuffed. This overture came during the spring of 1988 when Neelan Tiruchelvam was a visiting lecturer at Harvard University. Visvanathan Ruthirakumaran, the international legal advisor of the LTTE who is now the self-styled “prime minister” of the Transnational Government of Tamil Eelam, was then a tertiary student at the Harvard Law School. Rudra, as he is known, is the son of the former TULF mayor of Jaffna, Rajah Visvanathan. It was Neelan Tiruchelvam who enabled Ruthirakumaran to obtain a place at the Law School. What Neelan did not know then was that Rudra had links with the LTTE. 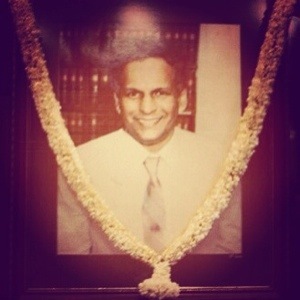 One fine day in 1988, Ruthirakumaran took a pleasant-faced man in his late thirties to drop in on Neelan Tiruchelvam at Cambridge, Massachusetts. It was during this meeting that Neelan Tiruchelvam discovered that the “friend” was none other than Rev. Fr. Thomas Amalathas, the New York-based head of the LTTE outfit. (Thomas Amalathas is no longer the LTTE chief in the U.S. He has also renounced his priesthood and is now married to a Romanian woman, who is a doctor by profession.) Amalathas was a prominent player on the LTTE stage. He requested Neelan Tiruchelvam to support and directly help the LTTE in propaganda and international legal work. Such requests made by the LTTE to Tamils are equivalent to those described in mafia jargon as an “offer made that he could not refuse”. Neelan Tiruchelvam refused, of course gracefully. To Neelan Tiruchelvam, an ardent believer in non-violence, democracy and constitutionalism, the LTTE and all that it stood for was anathema. There was absolutely no way that he would have ever consented to be coopted by the Tigers. He told me then that he would have never met Amalthas had Ruthirakumaran not sprung a surprise on him. But Neelan Tiruchelvam did not reprimand Rudra. Ruthirakumaran and Amalthas confirmed to me that Neelan Tiruchelvam turned down the LTTE offer. In later years when he knew that the LTTE was targeting him, he did not criticise them. He never spoke harshly to anyone, not even to his worst enemy. In the case of the LTTE, Neelan Tiruchelvam had tremendous sympathy for its cadres although he was totally against its overall objective and methods. He was of the opinion that these youth were sacrificing their lives needlessly for an impractical and unattainable goal. One instance of his magnanimity and integrity was when he told the Canadian national daily The Globe and Mail that the LTTE chief in Canada, Suresh Manickavasagam, was likely to be “interrogated aggressively” if deported. This remark by him was of great value to Suresh Manickavasagam’s lawyers in obtaining an injunction against the deportation order. Although his detractors accused him of collaborating, Neelan Tiruchelvam always fought for the rights of Tamils. He was uncompromising and fearlessly independent in that. Only his approach was not that of a rabble-rouser or a cheap showman. His was the quiet, behind-the-scenes approach of a democratic hue. Unlike many prominent Tamils who seemed wittingly or unwittingly oblivious to the tragic Tamil predicament Tiruchelvam was a man very much concerned about it. Since political hypocrisy was not one of his attributes Tiruchelvam realised that the establishment of Tamil Eelam was neither desirable nor attainable. The pursuit of such a mirage through a violent compaign could only result in long term misery for the Tamils he felt. The fact that the arena of conflict was primarily the Northern and Eastern Provinces meant hardship and suffering of the highest order for the Tamils. Besides he was very worried about the dispersal of the Tamil community from their areas of historic habitation and their consequent relocation to other parts of the world. ‘It is this permanent migration that would be the most detrimental factor to the well-being of the Tamils in Sri Lanka’ was a constant comment of his. A reduction of numbers would result in diminished political importance he felt. In that context a letter by former Central Bank Governor N.U. Jayawardena that was published in a Colombo newspaper some time ago is relevant. Mr. Jayawardene in that pointed out two things. First he said that the Sri Lankan population would achieve zero growth by 2025 and stabilise itself. Second given the current rate of Sri Lankan Tamil outward migration its population percentage at that time would be only 1.9%. As such it would become a ‘Manageable minority’ was NUJ’s conclusion. The drastic long term effect of the conflict on the Sri Lankan Tamils was something that was either not realised or willfully ignored by the ‘Vocal Warriors’ of the Tamil Eelam armed struggle. The question of whether the LTTE would win or lose the war became irrelevant in a situation where the Tamil population itself would become a feeble entity as it has already become. The longer the conflict rages on the more the economy of the Tamil areas decline. Population decreases. In the final analysis the Tamil war that began with a bang will decay into a pathetic whimper. There was also the factor of geopolitical reality that was against the birth of a Tamil state on the Island. However much the sacrifice and valour of the Tigers there was just no way they could achieve their goal in the long run. For these reasons and more Neelan Tiruchelvam was among those actively involved in trying to get the war suspended. He was also working diligently behind the scenes to get the government to resume talks with the LTTE. Tiruchelvam felt that only third party facilitation initially and subsequent mediation would succeed. This view that the war should end and talks with the Tigers should be initiated did not endear him to many sections of the government. The advent of Chandrika Kumaratunga as President in 1994 opened up fresh political space for Constitutional reform. New proposals providing greater devolution was formulated. The legal, constitutional and political expertise of Neelan Tiruchelvam along with that of then Constitutional affairs minister Prof. Gamini Lakshman Peiris contributed greatly to the formulation of the package in 1995. The LTTE and its supporters were critical of the constitutional reforms proposals, known generally as the devolution package, which sought to find a solution to the decades-old ethnic strife. These proposals were hailed by impartial academics as the most progressive breakthrough in the political sphere of resolving the Tamil national question. While Sinhala hardliners accused Neelan of promoting separatism by trying to push through the devolution package, the LTTE and its cohorts charged him of betraying Tamil interests. These contrasting allegations made by the hawks on both sides were proof enough that Neelan Tiruchelvam was on the right track in seeking a negotiated settlement that would provide maximum devolution within the unity, territorial integrity and sovereignty of Sri Lanka. Neelan’s fault in LTTE eyes was the co-authoring of a set of constitutional reform proposals with Prof. G. L. Peiris. These proposals released on August 3,1995 were described as the “GL-Neelan package” by sections of the media Within a few days of the package details appearing in the newspapers, the LTTE summoned a press conference on Aug 11th 1995 at their Chundikuli headquarters in Jaffna. It was held by the LTTE’s political adviser Anton Stanislaus Balasingham and LTTE’s Political Wing Head Suppiah Paramu Tamilselvan. That was the green light!Thereafter the vicious campaign against Neelan began in the Tamil and even sections of the English media. He was called a traitor to the Tamil community because he participated in a positive exercise of constitution making instead of rabble rousing like some other Tamil sycophants of the LTTE. Neelan with characteristic modesty and disdain for hogging the limelight played down his involvement in the August 3 proposals known as the “GL-Neelan” package. In private and in fora that mattered, Neelan stoutly defended the package. He would often lament that much of the mud slung at him in Tamil circles was “ill-informed” and without any grasp of what the package was all about. He was very proud of the package but accepted that it had its shortcomings from a Tamil point of view. What he felt was that the package was the best possible as a starting point. A particular source of satisfaction was the proposed change of the unitary state into a union of regions. He felt that if there was a Tamil consensus around it and the LTTE lent its bargaining clout the package could be enhanced further. Alas!That was not to be and the LTTE campaign sought to undermine the package as a complete sell-out. With the LTTE taking up cudgels against the package and the war intensifying, the Chandrika Kumaratunga government too altered its approach. Naturally, Neelan was placed in an unenviable position while his critics became increasingly strident. On the other hand, the original package itself underwent a series of revisions. The end result of all this was the systematic whittling down of the original package to which Neelan had contributed immensely. The August 3 1995 package lost much of its lustre when presented formally as government proposals on January 16,1996.The Parliamentary select committee proceedings saw the devolution proposals being diluted further when tabled as a white paper on October 24, 1997. It was against this dismal backdrop that the LTTE assassinated Neelan. After Neelan’s death, the devolution package he conceptualised in its original form was further eroded. In the short-lived honeymoon period between the PA and UNP the devolution proposals got reduced in scope and scale . With Neelan’s demise there was no one from the Tamil side to contribute positively to this exercise. Ultimately a caricature of the original Neelan package came to parliament but even the TULF refused to support it . Kumaratunga in her address to parliament did not even mention Neelan’s name despite his having paid the supreme sacrifice. And then the UNP did a somersault and refused to support the bill co-drafted by it.Years later the political scenario changed drastically. The LTTE entered a peace process with the UNP and began talking to a ‘Sinhala’ government about power sharing. Lo and behold! The chief government negotiator was none other than G.L. 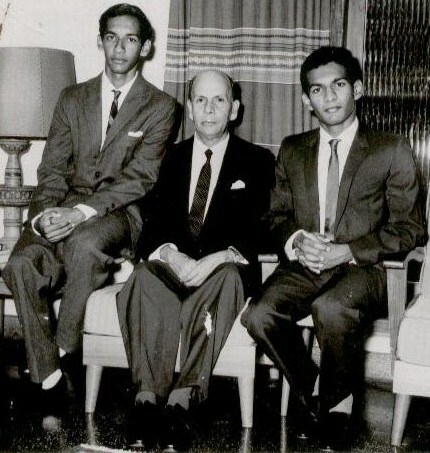 Peiris with whom Neelan had engaged in constitution making, years ago.The Tiger chief negotiator was the very same Balasingham who dismissed the ‘GL-Neelan’ package derisively earlier.The GOSL-LTTE talks achieved a significant breakthrough in Norway when the negotiating parties decided to “explore” a federal solution. Despite this advance, the talks thereafter failed to follow through with this in subsequent meetings. After vilifying Neelan as a traitor and the August 3rd 1995 devolution package as an act of treachery for years the LTTE was now acknowledging the merits of Neelan’s draft . After condemning the “GL-Neelan” package, Balasingham was now praising it. The wheel had turned full cycle. Even though Neelan was vindicated in a way, the brightest star in the Tamil political firmament is no more and nothing could ever bring him back. The loss to his family, friends, colleagues and associates is irreplaceable. So too is the loss to his community, country, humanity at large and the intellectual realm. When replying to his critics after Neelan’s assassination I wrote that with the passage of time his positive contribution would be acknowledged by the Tamils.In the aftermath of the LTTE’s “reappraisal” of Neelan’s constitutionalism I wrote in 2003 of two possible future scenarios. Recent events have shown the emergence of the negative scenario envisaged by me in 2003. The intransigent LTTE continued with war and ultimately paid the price with the entire world backing the Sri Lankan Government .The Tamils are in dire straits. Even the 13th amendment is under threat.The wisdom and foresight of people like Neelan Tiruchelvam who tried hard to bring about a just settlement earlier is being realised and appreciated. Whatever the future of the Tamil people, Neelan and all those killed under the pretext of alleged treachery will not be resurrected physically. Neelan was a man who respected the sanctity of life as supreme. He felt strongly that it was the most fundamental right of all as all other rights were meaningless to a lifeless person. Neelan was concerned about the growing intolerance and violence among the Tamil community itself. The glorification of death and the justification of political violence was abhorrent to him. It is pertinent therefore to ponder on this virulent phenomenon within the Tamil community at a time of remembering Neelan Tiruchelvam and celebrating the sanctity of life on his 70th birth anniversary.